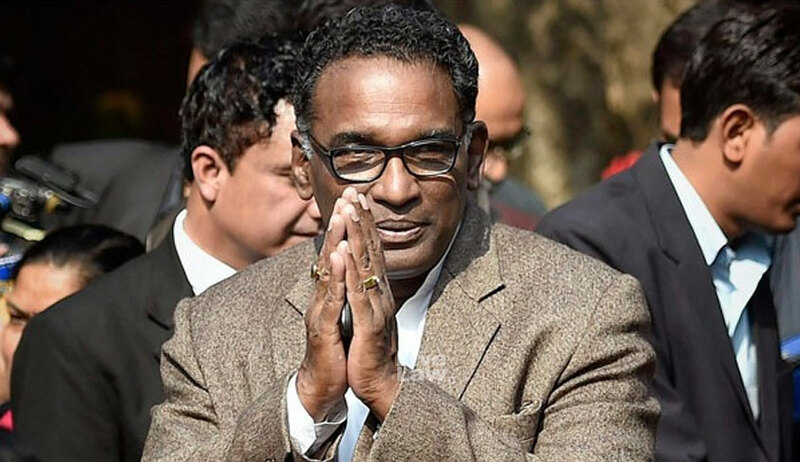 Supreme Court Judge, Justice Jasti Chelameswar, who is set to retire on June 22, has declined an invitation for his farewell by the Supreme Court Bar Association (SCBA). SCBA Secretary Mr. Vikrant Yadav, along with 18 other Executive Committee members met him today afternoon to persuade him to change his mind, but to no avail. He is, however, learnt to have agreed to formally meet all lawyers in July. Mr. Yadav told LiveLaw, "It was a formal invitation to him from bar for farewell to him on May 18. In response to which J Chelameswar declined it. He asked members not to insist to disclose the reasons. He said he had done in Hyderabad HC too." The SCBA organizes farewell functions in the Supreme Court lawns on the last working day of retiring judges. Justice Chelameswar’s farewell was scheduled for May 18, a day before the court breaks for summer vacations from May 19. However, without a farewell, Justice Chelameswar's retirement seems to be as unconventional as the past few months of his tenure have been. He has often made headlines since the unprecedented press conference held in January this year by him and three other Apex Court Judges. Having been hailed as the "whistle-blower" and the "rebel" Judge of the Apex Court of the country, he has since voiced his opinion against several administrative lapses within the Supreme Court, as well as against the Executive's interference with judicial appointments. He had also recently announced that he shall not seek employment under any government while being interviewed by acclaimed journalist Mr. Karan Thapar at the recent Harvard Club of India event. This had also prompted Justice Kurian Joseph to announce a similar vow.